This expansive ski-in/ski-out home is a snowball's throw over a flat path to the Galloping Goose ski run. The spacious and fluid floor plan includes a gourmet kitchen, game area, outdoor hot tub, and a great room featuring high ceilings, exposed beams, and a gas log fireplace with floor-to-ceiling stone surround. With three master suites and two large guest rooms, each with private bath, there is always plenty of room for family and friends. Quick and easy access to skiing and ample accommodations for guests make this an excellent rental property. Please do not look at your TMV map as it is incorrect; the property has been re-platted, and it is adjacent to the ski run . 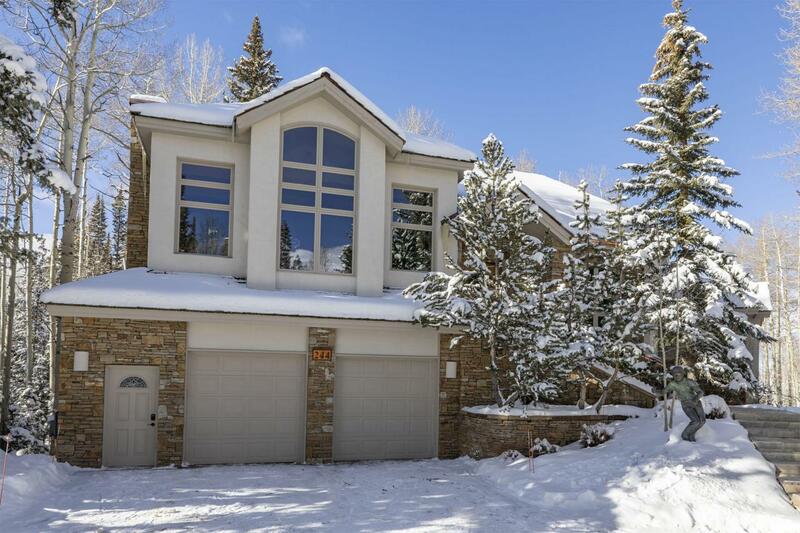 Listing provided courtesy of Rick Fusting of Telluride Sotheby's International Realty. © Copyright 2019 by Telluride Association of REALTORS, Inc. ALL RIGHTS RESERVED WORLDWIDE. No part of this publication may be reproduced, adapted, translated, stored in a retrieval system or transmitted in any form or by any means, electronic, mechanical, photocopying, recording, or otherwise, without the prior written consent of the Telluride Association of REALTORS, Inc. IDX information is provided exclusively for consumers' personal, non-commercial use and may not be used for any purpose other than to identify prospective properties consumers may be interested in purchasing. Information is deemed reliable but is not guaranteed accurate by the MLS or Telluride Properties. Data last updated: 2019-04-21T21:49:18.39.